After the big game wrought havoc on last Sunday’s weekly guaranteed tournaments in New Jersey, ..
Super Bowl Sunday brought absolute havoc on New Jersey’s online poker tournaments this weekend, as ..
You know it’s been a big week for online tournaments when I don’t even have .. This past weekend saw not one but two New Jersey online poker rooms running online ..
Two US players in the newly licensed online poker markets added impressive accomplishments to their .. The wake left behind by the #1 online poker site in the world, PokerStars, has ..
Back in September of 2012 PokerNews.com landed the interview of the year when former Full .. 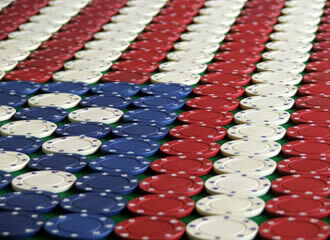 Throughout the World Series of Poker there is a consistent buzz in the poker world, .. In one of the fastest turnarounds in the history of poker, GentingPoker.com is going all ..
We are roughly halfway through the 2013 World Series of Poker schedule, so now is ..